Oscar-winning actress Lupita Nyong’o on Tuesday unveiled the cover of her debut picture book for children ‘Sulwe’, which touches upon colour bias and self-esteem, and hopes to inspire children to see their own unique beauty. Coming from the Kenyan-Mexican actress who herself has battled discrimination since childhood, the book features a “magical journey in the night sky” that opens Sulwe’s eyes and changes everything. 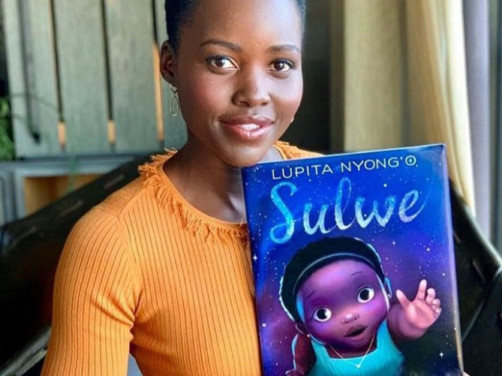 “I wrote ‘Sulwe’ to inspire children (and everyone really) to love the skin they are in and to see the beauty that radiates from within,” the 36-year-old announced on Twitter on International Children’s Book Day. The 48-page book is published by Simon & Schuster Books for Young Readers and is expected to hit stores in October. The debut book has been illustrated by artist-filmmaker Vashti Harrison. Brooklyn-based Nyong’o’s first feature film role was in the film ‘12 Years a Slave’, for which she received the Academy Award for Best Supporting Actress.